I am digging into my Polish roots for this fall memory lane of a recipe. Yes, I have some Polish in me via my Grand-papa on the father's side. I get the Greek from that side of the family too, as well as a sprinkling of British. 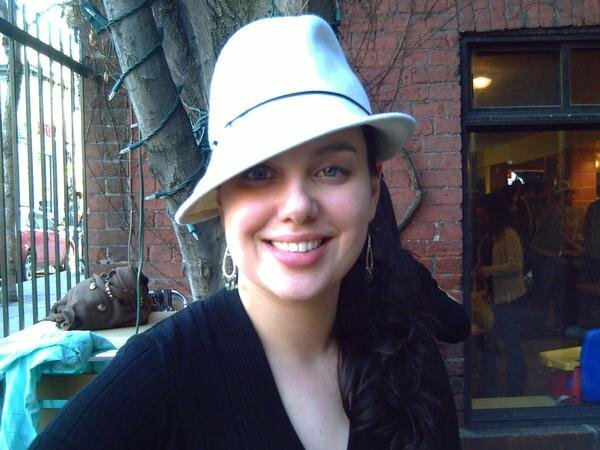 On my mother's side there is French from the first Acadian settler's, Mic Mac and Mohawk native (typical Québecois), with some Irish which was originally Scottish, to stew it all together. If I was in a kennel, I would definitely be a happy mixed mutt. My son has all of this, plus his father is Jamaican. Oh yeah, we got a party going on over here. Meals are always interesting, adventurous, and very flavourful. 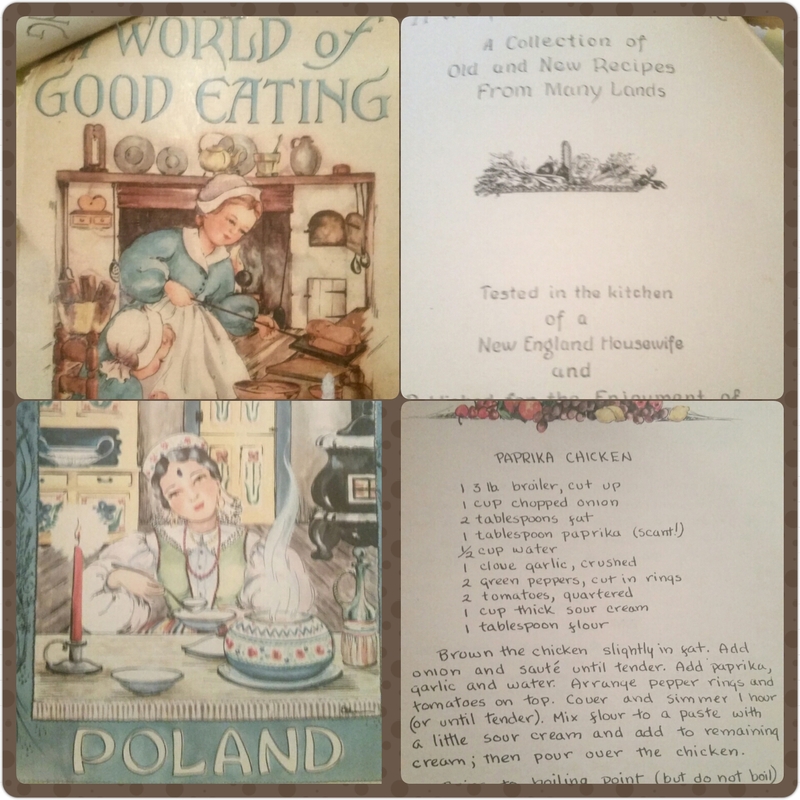 I have been organizing, as you know if you have been following, and came across this old throwback of a cookbook that reminded me of great kitchen moments, brought to us by my mother, and these awesome recipes she made from this book. 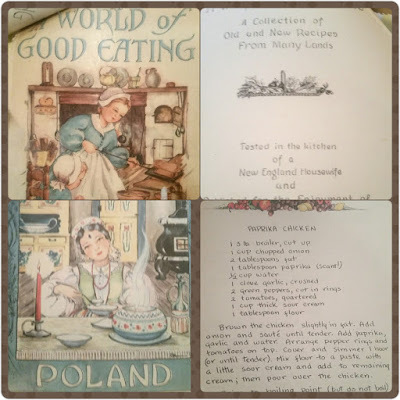 It's called World of Good Eating and the recipes had to be good because they were from around the world and tested by a New England house wife, no less. Cannot go wrong there my friends, even if it is a 19-take-it-easy cookbook. It's quaint and sparks up nostalgia whenever I see it's tattered cover and falling out pages which are being held together by a rubber band and a prayer. 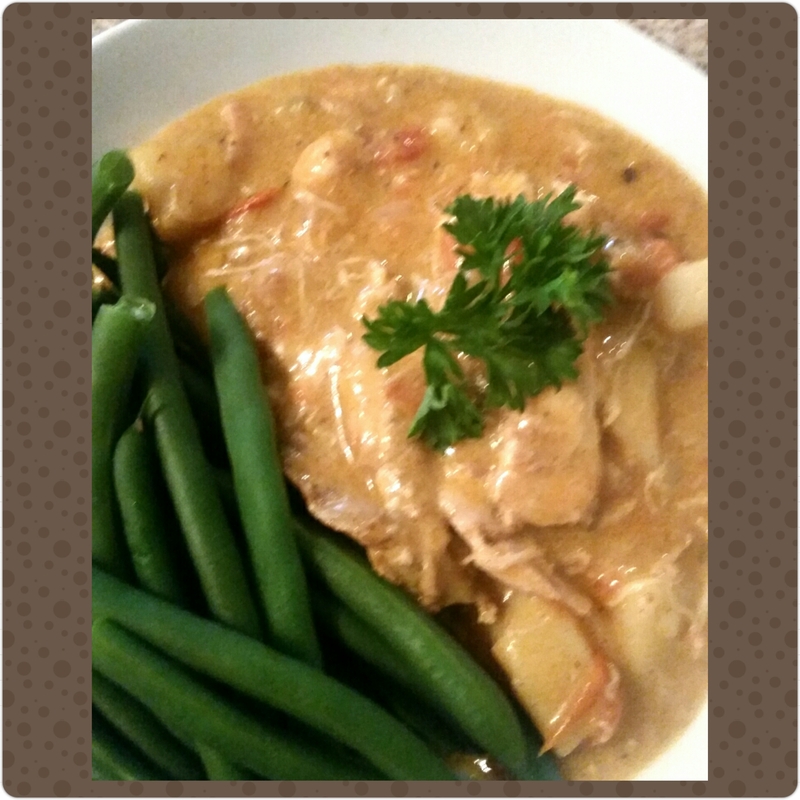 I chose to go back to Poland and have a go at a slightly modified, gluten-free version of Paprika Chicken. I also tested a new lactose-free sour cream that has come out on the market and only recently became available at our grocer's. I was very happy with the results. This is definitely a more rich and hearty meal, I am not used to eating this way but when the weather turns cooler, I like to return to things like this once in a while. This is comfort food and a nice nod to these brilliant fall days, I think you will enjoy it, it also freezes beautifully and feeds a family of four no problem. Let's kick it old school Polack style! 4 Potatoes cleaned and cut into large dice kept in water to avoid browning from oxidization, I like yellow fleshed potatoes. -In a Dutch oven, (we have a Le Creuset and it's the best for this kind of recipe) heat the oil to medium high and cook the dried off chicken on each side until browned, about 6-8 minutes each side. Remove with a slotted spoon and reserve on a plate. -To fat in pan add butter and heat on medium heat until melted, add onions and cook until becoming lightly golden, pick up any browned chicken bits on the Dutch oven bottom, for that yummy flavour and keep stirring. 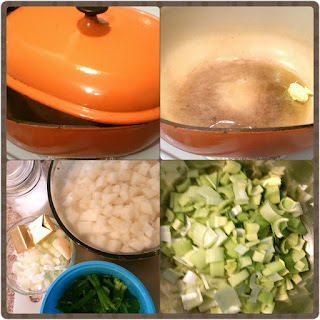 -Add celery, cook 1 minute. -Add paprika and cook 1 minute, add drained potatoes. -Add garlic, stir and cook 1 minute. -Add tomatoes, cook 1 minute always stirring. -Add tomato juice, stock cubes, water, thyme, pepper, bay leaf, and salt, stir. 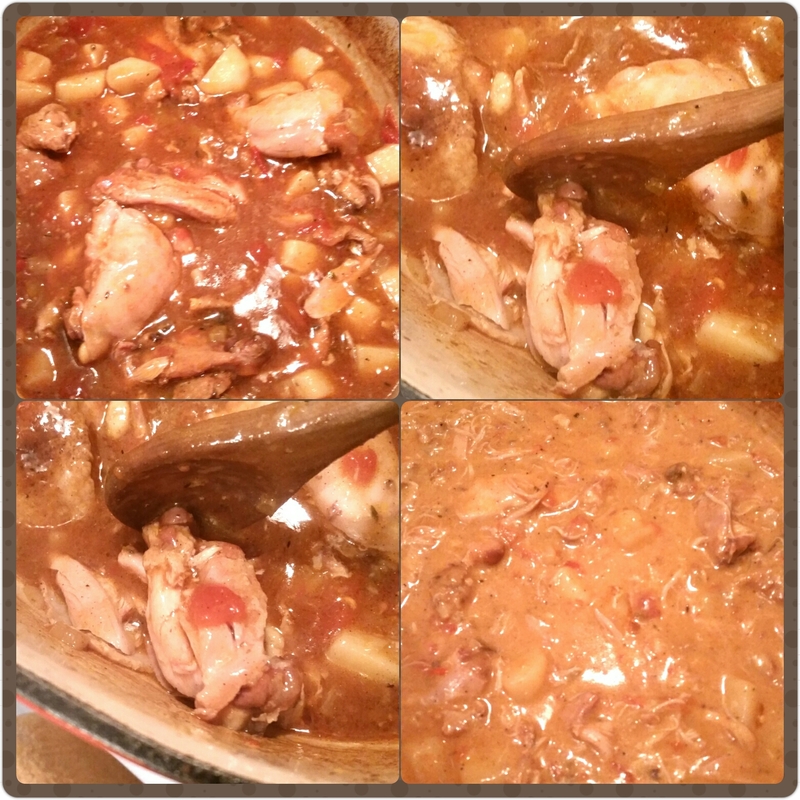 -Carefully place chicken in and any juices that have pooled in the plate into the dutch oven. -Remove from oven, stir, and keep lid off for remaining cook time. Place back in oven for 1 hour. 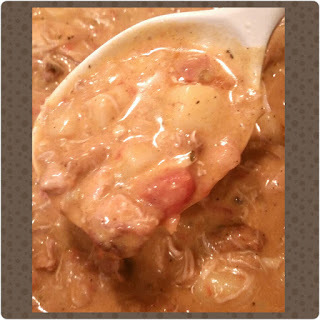 -Remove from oven, immediately stir in the potato starch slurry mix and stir, stir, stir. It will thicken as the heat works it's magic. -In a bowl, place your sour cream, take some of the thickened cooking liquid and temper it by adding the hot liquid to it, one spoon at a time and constantly whisking it until well mixed. This is to avoid the sour cream from splitting and becoming an ugly curdled mess, which will happen if added to the too hot liquid without the tempering process to bring the sour cream temperature up higher. -Add the tempered sour cream to the Dutch oven chicken, stir. 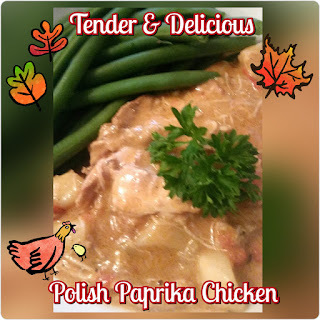 -The chicken should be falling off the bone tender, I like to remove it from the bones, chuck the bones and serve this scrumptiousness with fresh greens or string beans. Some people serve this over rice but because I have already added potatoes, I don't feel it needs the addition of more carbs. This is up to you. 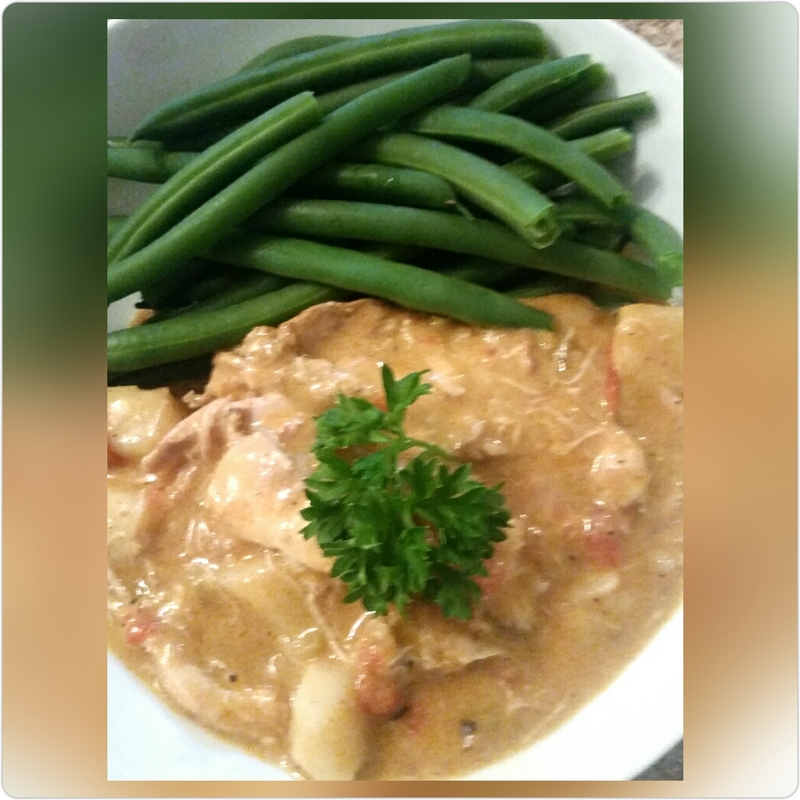 Serve this with crusty bread if you like, I ate it with plain, no buttered string beans. I felt the sour cream added enough richness and the whole thing is a nice hearty thick stew consistency, so you don't need more richness with your veg. I really hope you enjoy this recipe as much as I did, we had so many leftovers. I froze half of it and ate it two weeks later. What a warm hug in a bowl...sigh. Ignore the leeks and green onions, somehow they photobombed this pic, and I have given them a very bad spanking indeed. Chicken is super tender and literally falls off the bone.The above pic is before the addition of sour cream, you can totally skip this if you cannot handle dairy at all. Below is with the sour cream. I can't wait to hear about your kitchen adventure's, let me know if you have any questions down below. I love to hear from you, happy Cheffin'! Don't forget to keep checking back for more scrumptious fall delights and subscribe! 2 comments on "Polish Paprika Chicken"
Mmmh hmmm... Looks SUPER delicious 😋! The only reason there was plenty to freeze was PB's MIA.